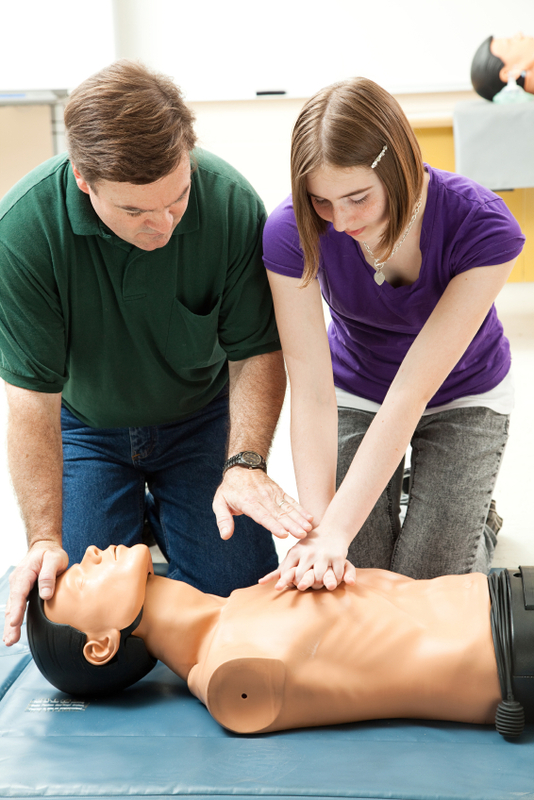 CPR & First Aid training course length is customizable based on your needs. Our CPR & first aid training course is based on Our American Heart Association first aid, CPR and AED programs and are designed to give you the confidence to respond in an emergency situation with skills that can save a life either at home or in the workplace. These CPR & first aid training courses are ideal for people who prefer group interaction and instructor feedback while learning skills. CPR and first aid certification classes ensure all skills are both taught and backed up with hands on practice whether it is with a CPR manikin or using an epinephrine trainer pen. Additional training in site specific exposures and injury prevention can be added to CPR & first aid training to prepare you to prevent and respond to situations that may arise while in the workplace. Participants who complete the requirements (attendance, activities and exam) will receive an American Heart Association CPR and First Aid certification card. Certification is valid for 2 years.